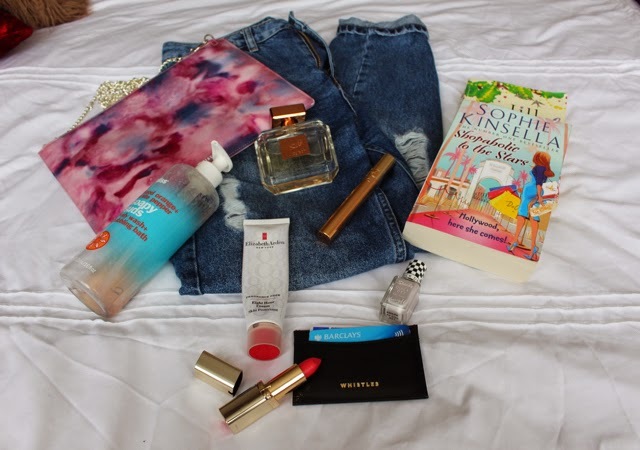 This month I’ve been prepping for sunshine with coral lips, new jeans and a brightly-coloured bag. I’ve found myself living in these jeans this month. They’re high waisted, even on my long body, fitted at the top before becoming slightly baggier at the turn ups. They’re distressed, beaten up and really bloody rigid making bending hard work, but I love them. I’ve even surprised myself by wearing them with my tops tucked in. Who ever knew. And at only £40 a pair, they’re a decent price. Hail the Mom Jeans. This joined my collection of Whistles clutches back in March and promptly became my new favourite. I’ve worn it out and received compliments on it’s beauty. It’s surprisingly spacious and can hold all my belongs making it perfect for both nights out and work. Expect to see more of this beauty this summer. The smell of the blood oranges is so gorgeous it makes morning showers the best. I’s sweet but not sickly. I also use the matching moisturiser which soothes my dry skin. You can find the set here. This has become my every day fragrance and is better than most celeb perfumes. It’s floral but not too sweet and has deeper undertones. It’s also well priced at £28 for 75ml, making it easy to repurchase. Get yours here. I like to own this YSL Mascara Volume Effect Faux Cils a couple of months before I really start to use it. I like the formula to dry slightly as I find it helps hold a better curl rather than sticking my lashes together in small clumps. It has a thick brush which are my favourite and helps to add volume as well as length. What more could you want from a mascara? I am a firm lover of chick lit, always have been and always will be. It makes my commute more bearable and helps put a smile on my face. Two of my favourite authors are Sophie Kinsella and Jill Mansell and I’ve been reading books from both this month. I’ve been using Elizabeth Arden’s Eight Hour Cream for longer than I can remember. For the past couple of weeks my lips have become extremely chapped and sore and are only just getting better now thanks to me constantly slathering this thick balm over them. This essential never leaves my bag. My nails have only been painted in Barry M’s Speedy Quick Dry nail varnish this month. I’m loving the pale, almost grey shade, Pit Stop the most. It’s subtle, elegant and looks fab on. The fact that it takes minutes to dry means I can paint my nails and be done within 5 minutes. What a relief. As soon as the sun starts to shine I’m drawn to the brightest of coral lipsticks. This month I’ve gone for L’Oreal Color Riche Matte 228 VIP. I apply a generous amount and then smudge it in to my lips to soften the colour. This Lizard Card Holder from Whistles has made my life a helluva lot easier. It means I can carry smaller bags and prioritise the cards I need to take with me, rather than carting around my massive furry-red purse, change and all. What’s been on your list this month?